For the last 5 years, Tom has partnered with pharma and biotech organizations to design their strategy for Pre-approval Access and develop global programs, allowing patients to gain access to treatments that would otherwise be unavailable to them whilst supporting traditional development pathways. His role as Head of U.S. Business Development for IDIS Managed Access, part of the Clinigen Group, has provided a platform to help patients around the world whilst developing thinking and strategy for many of the Top 20 Pharma companies in this important area. 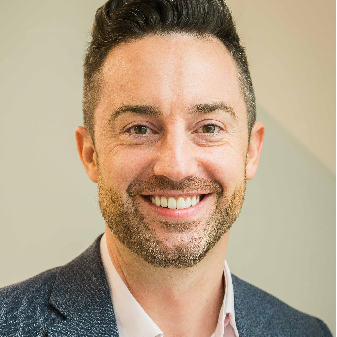 In his current role, Tom is looking to make a broader and significant positive impact on the Pre-approval Access landscape finding solutions for many of the hurdles that exist for companies interested in satisfying the immediate needs of patients whilst balancing developmental objectives. Previously to working in this space, Tom spent 14 years within the pharmaceutical industry fulfilling a range of leadership roles including Head of Marketing for a multinational pharma company. Within this time, he led a wide range of global pre-launch and launch activities for treatments addressing areas of high unmet medical need. Tom is a member of the New York University School of Medicine Working Group on Compassionate Use and Pre- Approval Access and a Strategic Advisor for WideTrial. He is deeply committed to helping companies with promising medicines in development and the patients they serve.